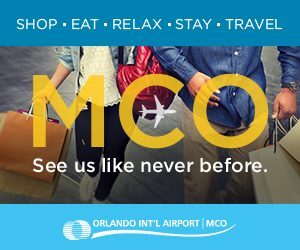 You may be familiar with Orlando International Airport, Your Florida Airport of Choice®, when you travel, after all MCO offers more than 35 airlines flying non-stop to more than 80 U.S. and 50 international destinations, with some of the lowest airfares in the country – and new flights to new destinations being added every month. But, we’re more than just an airport. We’re a destination. It’s time to see us like never before. Boarding passes are optional. Flights are just the beginning. The 35 stores in the Main Terminal offer “street pricing” and are open to everyone – Boarding passes optional. 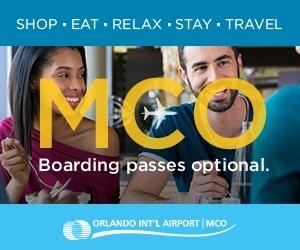 The 16 restaurants in the Main Terminal are open to everyone – Boarding passes optional. 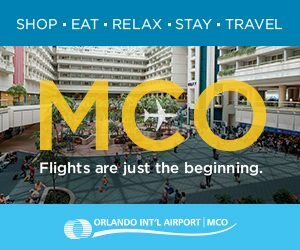 The Hyatt Regency Orlando International Airport is located inside the Main Terminal and is open to everyone – Boarding passes optional. Why not shop, dine, relax and stay at Orlando International Airport? Oh, and for those of you who like to travel, yes, we have plenty of options for that as well!